Big Brother is watching you. No really, he is. From closed-circuit cameras on the street to satellites and drones in the sky, surveillance is now an intrinsic part of our daily lives. Not everyone is a fan of the new normal, however. New York-based artist Adam Harvey has taken it upon himself to create a line of speciality garments for foiling government snoopers. 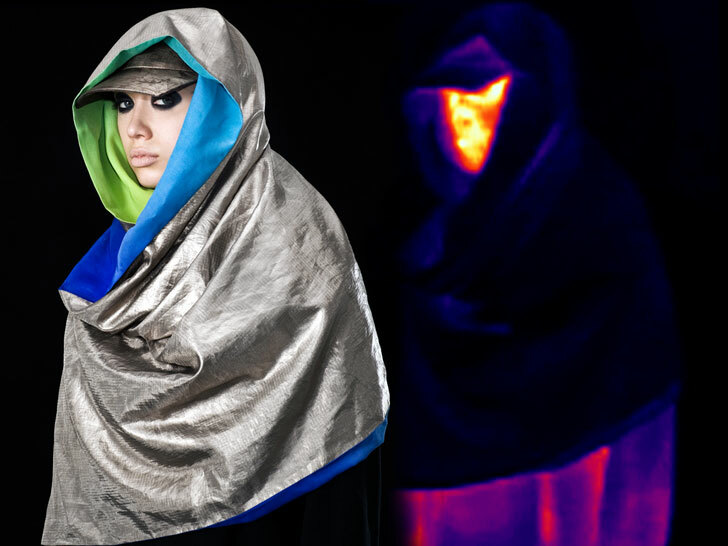 To thwart infrared scanners widely used by unmanned aerial vehicles, Harvey created a hoodie, a scarf, and a tent-like coverup using "highly metallized" fibers that reflect heat and mask the wearer's body signature. 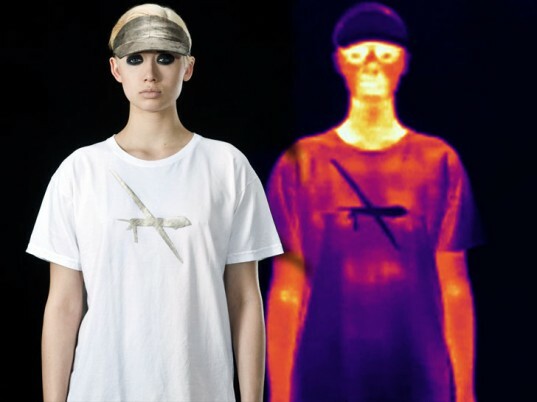 He also developed a pouch that shields cellphone signals (both incoming and outgoing) from tracking devices, as well as a T-shirt designed to protect the wearer from X-ray radiation. Of the three “anti-drone” pieces, two are inspired by Muslim dress. “Conceptually, these garments align themselves with the rationale behind the traditional hijab and burqa: to act as “the veil which separates man or the world from God,” replacing God with drone,” Harvey writes on his website. Last year, Harvey designed a type of camouflage makeup for fooling face-recognition software. Want to observe Harvey’s work up close? The garments will be on display at Primitive London through the end of the month.